The reset and signal line of a microcontroller is probably the most important signal to a microcontroller. And, if things go wrong, then the first thing to check is the reset line. 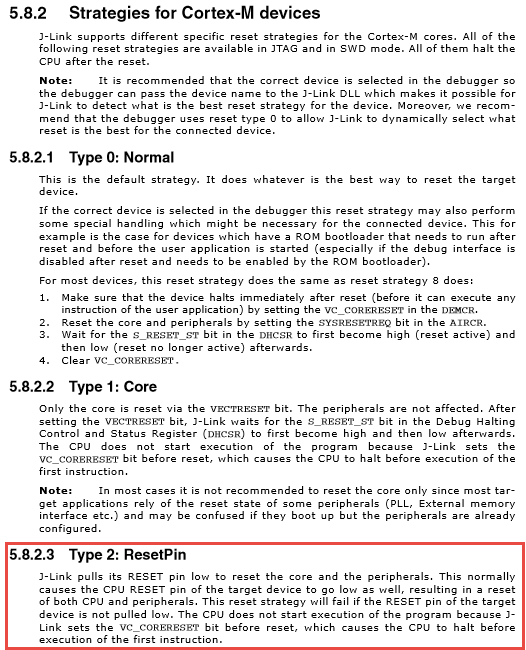 So, having control over reset is an important aspect for embedded development. Read on to learn more. But actually, this might not be the case because the debug probe can put the device into reset using the ARM SYSRESETREQ bit of the core. This does a reset, but without the external Reset pin. So, if my hardware depends on that reset signal, I have a problem. The SYSRESETREQ way used by default with using GDB e.g. 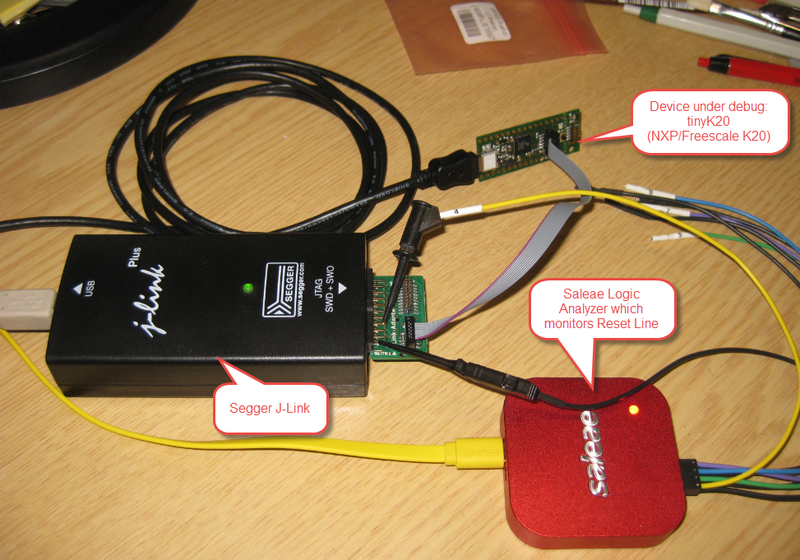 with the NXP/Freescale Kinetis Design Studio and the Segger J-Link. So, how to have the reset line toggled? The above chapter "Reset Strategies" in the Segger J-Link manual says that I could use strategy type 2. But how to use it with the GNU Debugger (gdb) in Eclipse? So, obviously the P&E Multilink Universal probe does always reset pin toggling. 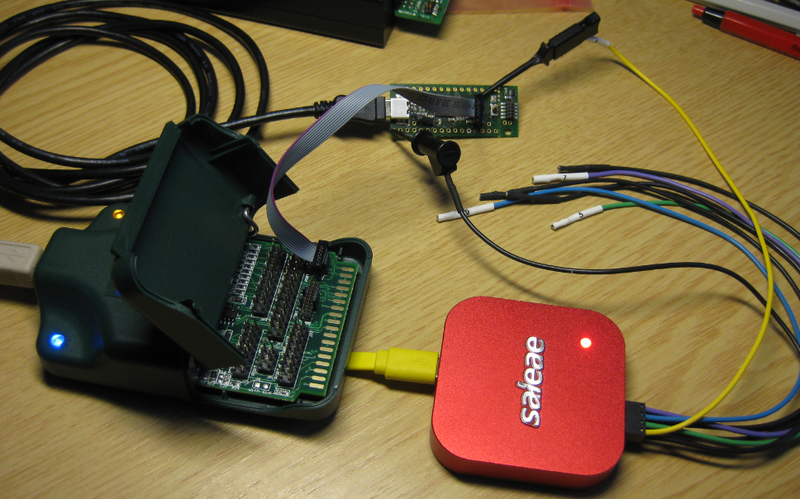 By default, the reset line is not needed for SWD/JTAG debugging. 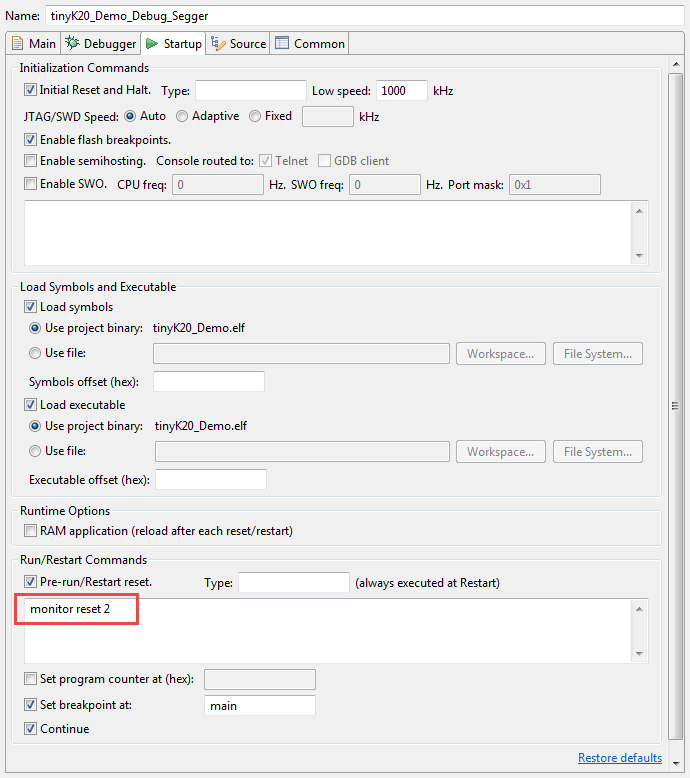 But, if I need to have the reset line toggled for debugging, I can specify the reset type 2 for ARM Cortex-M in the GNU ARM Eclipse Segger J-Link debug plugins. The approach discussed here works with command line GDB debugging and with any Eclipse GDB debug solution using the GNU ARM Eclipse plugins, for example the NXP Kinetis Design Studio. I have not looked yet into ways how to do the same with other debug connections like P&E or OpenOCD. That might or might not be possible, maybe someone can comment?